How do the dead function in poems? 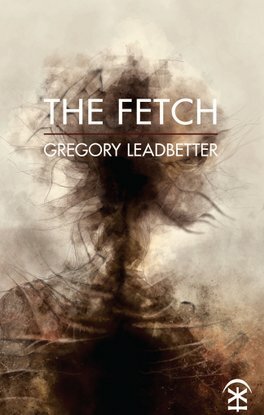 In Gregory Leadbetter’s quietly stunning debut The Fetch, the dead appear as echoes in the form of many ‘fetches’ – the apparition or double of a living person, usually an omen for impending death – that quietly haunt throughout. to hear, a song to raise the dead. of the dark of which it was made. It is startling the way this sonnet’s list of things-that-go-bump-in-the-night gives way to the image of the speaker-as-child made from the darkness. The tercets unravel the regular iambic tetrameter of the quatrains in a way that seems to enact the exhaling breath. The form works wonderfully. Notice the cheeky reference to Robert Frost suggesting another way to read the poem, as an elegy to poetry itself. Yet, with such heedfulness there’s also a sense of threat: the speaker’s head is ‘severed’ by a guillotine of sunlight, eluding to the ‘self as shadowy apparition’ that is a key concern of the collection. It seems apt that the only punctuation in the entire poem is a single comma in the final line, a powerful caesura effectively deadheading the poem. I’m going to visit this afternoon. and knew you saw the dead. This is Leadbetter’s real ability: hinting towards his terrible entities without focusing too heavily on any one. If ‘the fetch’ appears, it appears briefly, and in plain sight to remind him of his own mortality. His lips move with your own. as he cuts the rune on your tongue. like mine, become at once too dark, too bright. These many sightings and re-imaginings of ‘the fetch’ suggest we are never far from our maker. After a car accident in ‘The Departed’, the speaker’s many doppelgangers are spotted around the world, suggesting the closer we come to death, the more of our self, or soul, escapes. In a way, Leadbetter’s obsession is with self-preservation and through this, a renewal. Reading The Fetch several times I’m sure there’s much I’ve missed and discoveries waiting to be gleaned from this tightly woven, finely tuned collection. It also occurred to me that Leadbeatter might have his own doubles. ‘This’, ‘Lessons for a Son’ and ‘Dendrites and Axons’ are reminiscent, in a good way, of Michael Donaghy’s ‘Present’ and ‘Haunts’, and if I were to place Leadbetter in the current contemporary poetry landscape, he’d fit nicely alongside a poet like Niall Campbell given his loving attention to the craft and form of the lyric poem and narrative verse. Although some may find Leadbetter’s careful and precise tone laborious, his reliance on metrical verse seems daring in comparison to the current vogue for experimentalism. Taking the reader to a world both darkly mythical and accessible, like the bird in ‘Black-Necked Grebe’ that slips ‘behind the wind and water’, The Fetch manages to go elsewhere, to where we just might see our doppelganger, where we might learn what those dead have seen. You can order The Fetch by Gregory Leadbetter from the Nine Arches website.